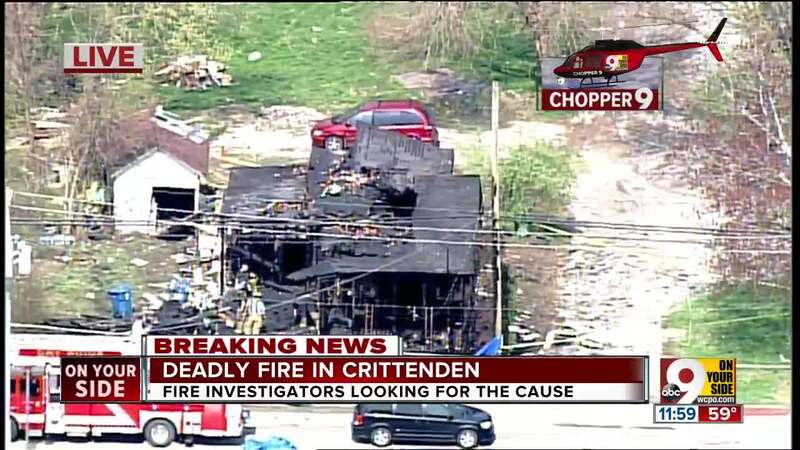 A fire that broke out Wednesday morning on North Main Street in Crittenden has been confirmed as fatal, according to Kentucky State Police. At least one person died in the fire, and police are still investigating whether there were more people inside the building. 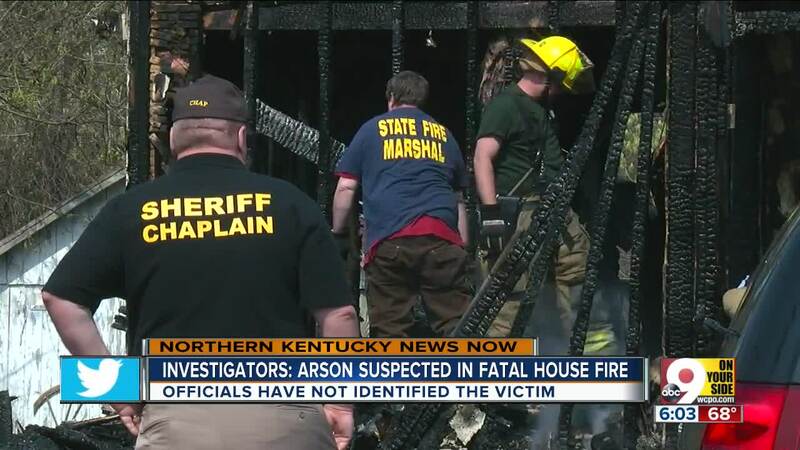 CRITTENDEN, Ky. — One person was found dead after a fire, and police are investigating the fire as a possible arson. The fire broke out in a house on North Main Street in Crittenden at about 4 a.m. Wednesday, according to Kentucky State Police. Firefighters recovered a body after sifting through the rubble for hours. The house was under foreclosure and supposed to be vacant, and had no running water or electricity. Trooper Charlie Loudermilk said Kentucky State Police are still investigating whether there were more people inside the building. "We have reports from different people that there were people going in and out of it, that there was the possibility of drug activity," Loudermilk said. "Obviously, that's something that our detectives will ultimately figure out, if that was in relation to the person that's deceased, as well as the fire itself." Neighbors said they have complained about squatters breaking into the house for months. Longtime area resident Terry Sanders said "horrible, horrible things" have been going on there. "It's a sad thing that people had to die, but the community will be better off for it," she said. Police have not yet named the person who died.